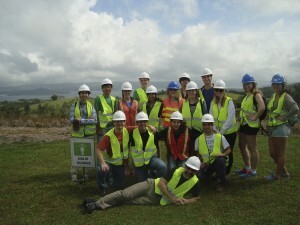 Sustainability Studies Program posts written by current students. 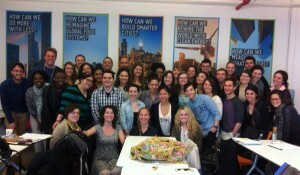 Emily Nocito (middle row, fourth from left) attended Bard’s recent C2C Fellows Network Spring Workshop in NYC. In my three years of attending Stony Brook University, I have yet to take a business class. Business, as a whole, scares me; as a person, I feel as if I am too disorganized to understand the inner workings of the subject. Dr. Eban Goodstein, the head of Bard’s CEP, ran this workshop. He immediately put me at ease; all my fears of being wholly underprepared went away. 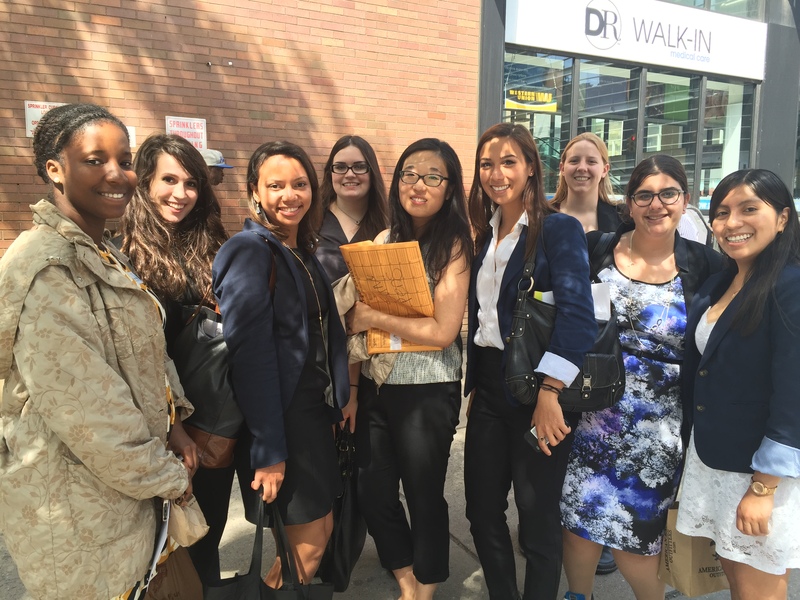 Program highlights included leadership skills, the role of business and sustainability, fundraising and more. The best thing I got out of this C2C workshop was, by far, the amazing connections I made. The other fellows were a mix of undergraduates, graduates, and professionals. While sustainability was the overarching theme that brought us together, our passions were diverse. At the “Ideas Marketplace”–where you were given 60 seconds to pitch a sustainable idea–I heard pitches ranging from dealing with food waste to sustainable sanitation. 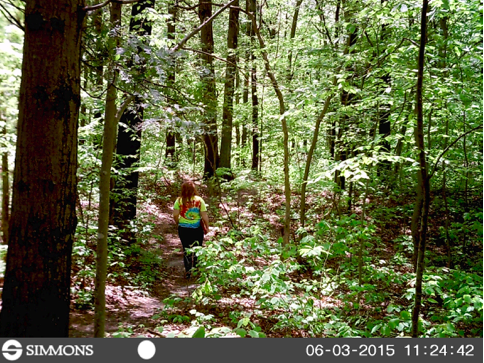 I spent three days bouncing ideas, passions, hopes, and dreams with a like-minded community. I am sure that I met future environmental lawyers, policymakers, scientists, and activists…and feel more confident about my future in sustainable politics and…even business! The beach at Punta Mona. Before my trip to Costa Rica, I followed the packing list I was provided with, carefully selecting what I thought needed to come with me, and what I should omit. The day finally came to drive to meet the Stony Brook University study abroad group at the airport for our departure. I was sure I had everything I could possibly need on the trip while still traveling lightly. I packed my iPhone and iPad knowing very well that I would not have any service besides the occasional “treat” of Wi-Fi. The technological luxuries that were my iPhone and iPad would only serve as slender cameras for the three weeks to follow. 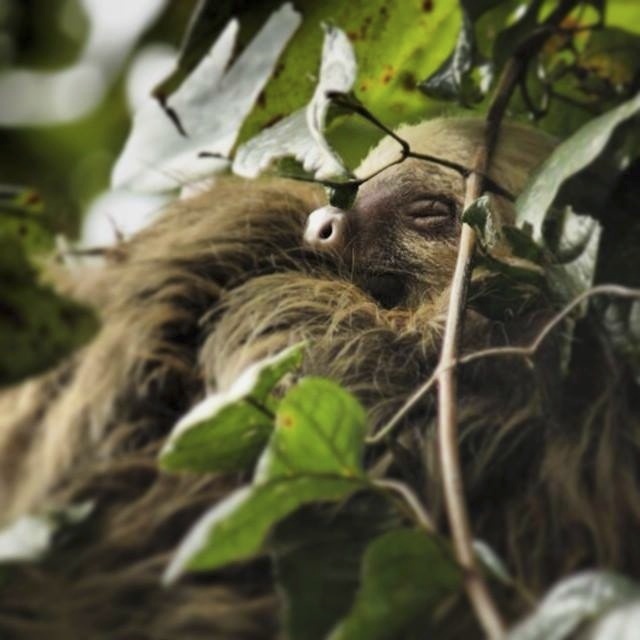 The first thing we did after landing in Costa Rica was travel by bus for five hours through the cloud forest, all the way to the southern tip of Costa Rica on the edge of the Caribbean Sea. Our group’s plan was to stay at the hotel there for one night, hike into the jungle on foot, and send our luggage to the Punta Mona Center for Regenerative Design and Botanical Studies—the real destination of our trip—by boat. We reached the hotel only to find out that the sea was too rough for a boat to pass. Our only option was to backpack to Punta Mona with what we needed for two or three days, selecting items from the luggage we had on us. Yet again, I had to pick and choose what would make the cut and what I was willing to lug around during a three-hour trek through the rainforest. Item by item, I sifted through my belongings. I felt like I was being stripped of my necessities, but made the difficult choices I felt I needed to make. By the end of the hike in I was completely exhausted and felt the burden of the heavy load on my back, making me wish I actually brought less than what I had. I went to my room and unpacked my Jansport, which contained a few shirts, shorts, body wash that doubled as laundry soap, flip-flops, a notebook, and one towel. Not exactly the most luxurious stay I’ve ever had, but I planned to mix and match my articles of clothing to make it work during our stay. Each day the adventure continued; I never knew what I was going to wake up to. Would it be howler monkeys with their deep, rumbling dinosaur-like groan? Or the pounding of raindrops pouring down? Or an array birds chirping high above in the treetops? 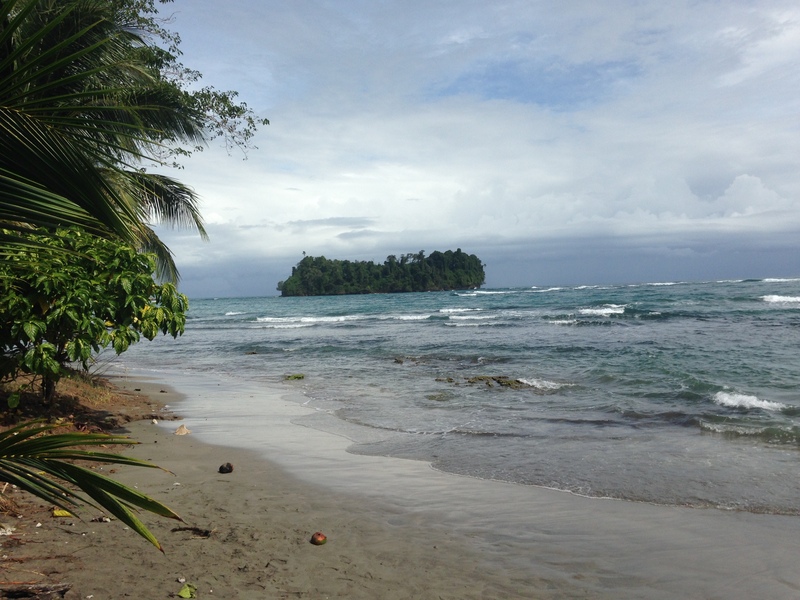 There was so much for us to do and see— hundreds of edible plant species, so many exotic animals, new friends from all over the world, a tropical rainforest just outside our cabin, and a beautiful beach. I was able to connect with the land in a way I never thought possible. So many indigenous cultures have lived this way for hundreds of years and I realized why. We had so many things we needed right there. We didn’t rely on big businesses to ship us food or clean water. If we wanted a snack, we could walk out to the nearest fruit tree and pick whatever we wanted. We didn’t have to worry about pesticides or chemicals and everything was fresh off the tree. As we care for the gardens and the chickens, we were immediately rewarded. This for me is the ultimate harmony. Everything our group did was intentional and rewarding. After meals, our leftover food scraps were set aside and fed to the chickens. The chickens returned the favor by providing us with eggs that were devoured the next morning. As the course went on, we learned about fertilizing the soil with chicken manure and were able to build our own vegetable gardens that also benefitted from the chickens. The energy from our food scraps was able to be recycled back into more food. It was such a simple concept, but to practice the most efficient methods rather than being wasteful was inspiring. 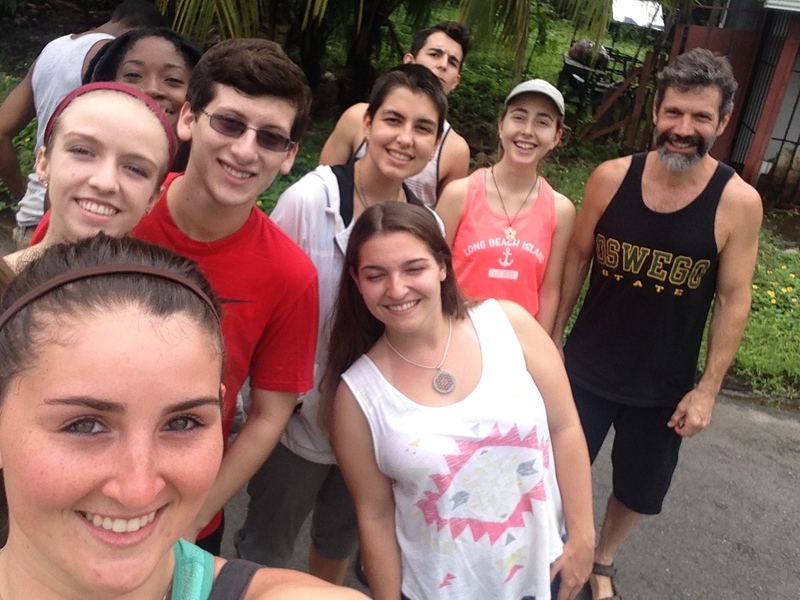 The Winter 2015 Costa Rica study abroad group (Amanda, front). One night during our trip, we had a party where we all made chocolate by hand. Before this trip, I wouldn’t have been able to describe where chocolate even comes from. During the process, we ate the cacao fruit and collected the seeds, or cocoa beans inside. The next step was to bake the seeds so that the protective skin becomes crunchy and separated from the bean. This part was much harder than I had expected, and my fingers quickly grew tired from all the prying and peeling. As I peeled, I thought about all the times I’ve eaten a piece of chocolate. Whether it be shaped like a Santa Claus, or in a bag of M&M’s, or carefully molded into a Hershey’s bar, I had never in my entire life stopped to think about where chocolate actually comes from. It may be the special bond I have with the caffeine-rich treat that helped me to appreciate the situation, but I really had an epiphany. While making cacao I realized how disconnected we are from our food. Everything I normally eat comes from hundreds or even thousands of miles away. Cocoa beans are harvested, shipped to the factory, mixed with milk that is probably filled with other chemicals, processed by heavy machinery, and eventually shipped to the store where it could sit on the shelf for months before I pick it up. When we got to the final steps of grinding the cacao by hand and mixing them with sugar then rolling them into small cookie shapes, a sense of joy and achievement overcame me. At that point, I instantly had a newfound appreciation for food as a source of fuel and energy. After all, food is a very powerful thing and can either be the best medicine or a slow poison. Six long days after arriving, we are still without our luggage and doing just fine. We’ve overcome the challenges of washing clothes, bathing, and living with the bare necessities. We had wonderful food to eat, clean water to drink and shower with each day, sunshine, and so many awesome people to learn and grow with. It didn’t matter that we wore the same shirt from two days ago and then washed it that night in anticipation that we would need to wear it again in another two days. Nobody cared. Vanity was not a concern, and we were all very happy with fewer material things. After suffering through calculus and chemistry as an undeclared sophomore, I jumped at the opportunity to study abroad in Madagascar with Dr. Patricia Wright, the world’s foremost expert on the finest animals to vertically cling and leap across the rainforest canopy—lemurs. In Madagascar I experienced lots of firsts, like hiking, pooping on the ground, camping, and being hungry. I also started my very first research project with my good friend Hannah Manning (who is now a vet student at Ohio State University). Together, we investigated the correlation between Red Fronted Lemur vocalization frequency and group size. 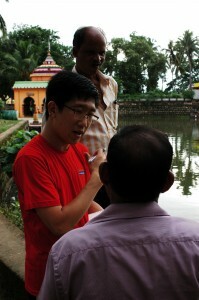 I loved every second of data collection and as the project progressed I knew I’d found what I was always meant to do. In many ways, however, Madagascar disappointed me. I watched deforested areas erupt into flames for slash-and-burn agriculture; I heard rumors of villains mining for gold within the park; I watched a critically endangered lemur cross a busy highway in the middle of the afternoon. I never wanted to forget the imminent dangers threatening the rainforest, so after study abroad ended, I continued to work with Dr. Patricia Wright. Even while she was in the middle of becoming a movie star (everybody should go watch IMAX’s Island of Lemurs ASAP), Dr. Wright always made time to answer my questions, critique/fix my work, and teach me about effective conservation. 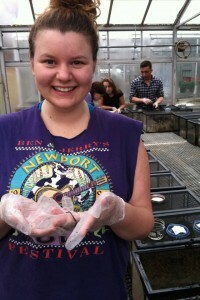 Mariah in the worm lab. Dr. Wright reminded me of the environment I left behind in Madagascar, while Dr. Sharon Pochron introduced me to the majestic qualities of (invasive) earthworms here on Long Island. In Dr. Pochron’s lab, we use earthworms to conduct research on the impacts of Cadmium and Roundup on mortality and soil microbial respiration. Dr. Pochron has united students from sustainabilities, biology, and chemistry to congregate in the (sometimes stinky) confines of the Life Sciences Greenhouse, where we work together to feed, water, count, and weigh earthworms exposed to varying concentrations of toxicants. I have enjoyed working with Dr. Pochron because she dares her students to write with active voices, to think like statisticians, and to try to keep Mo, her aspiring guide dog, from eating squirrels and poison. 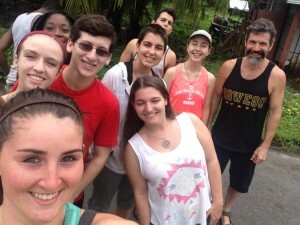 As an undergraduate senior in the Anthropology major and Ecosystems and Human Impact minor, I’ve had the opportunity to learn from a unique synthesis of biology, primatology, writing, and conservation. My classes and research experiences have inspired me to become part of the solution our planet needs. So, next semester, I will be returning to Stony Brook University as a graduate student in the department of Ecology and Evolution. I look forward learning more about environmental issues, conservation policy, and quantitative system modeling. 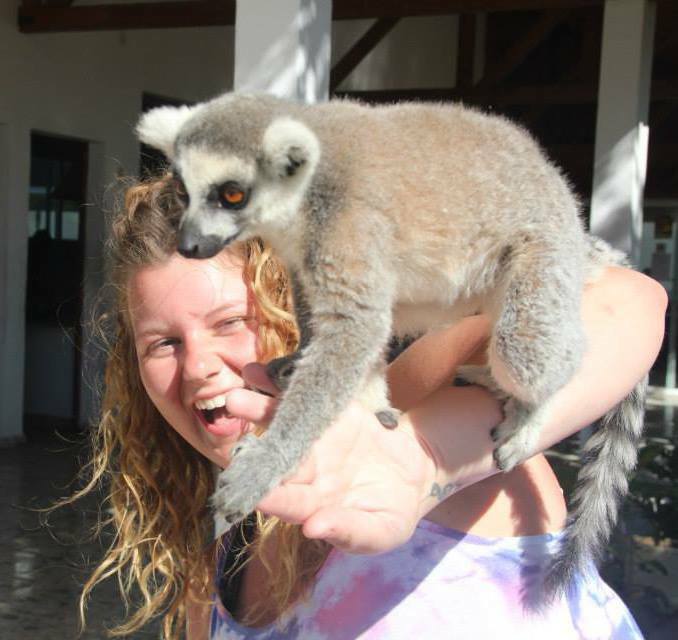 While pursuing my master’s degree, I will return to Madagascar to investigate the nutritional ecology of two sympatric lemur species in Ranomafana National Park. I also look forward to participating in future ecotoxicology studies in Stony Brook’s Greenhouse. After earning my masters, I will pursue my PhD in ecology, so that I can spend the rest of my life answering research questions that address climate change, ecosystem degradation, and species endangerment. Because of my education, I will be more than my carbon footprint. 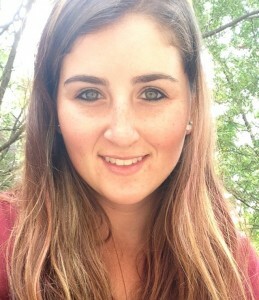 Sustainability Studies Program student accepted into prestigious environmental leadership program! 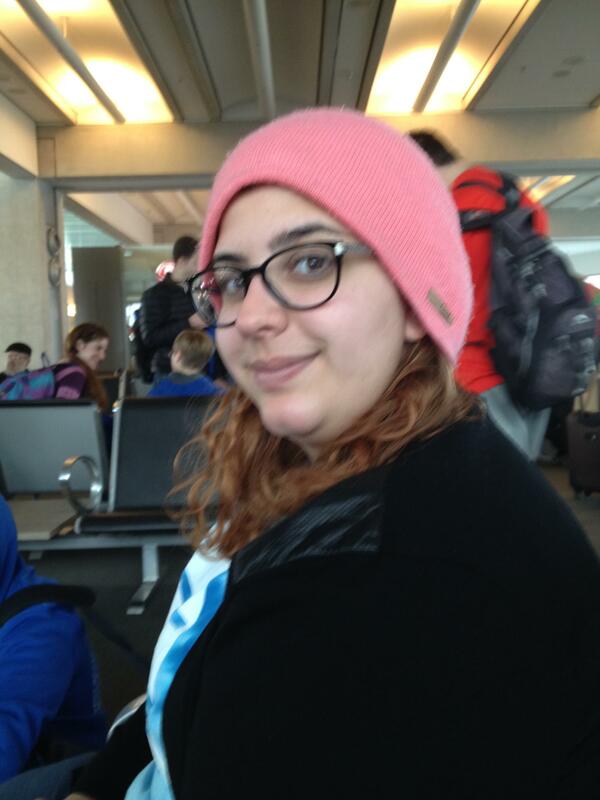 Emily is a recent COS convert…and she loves her new major! 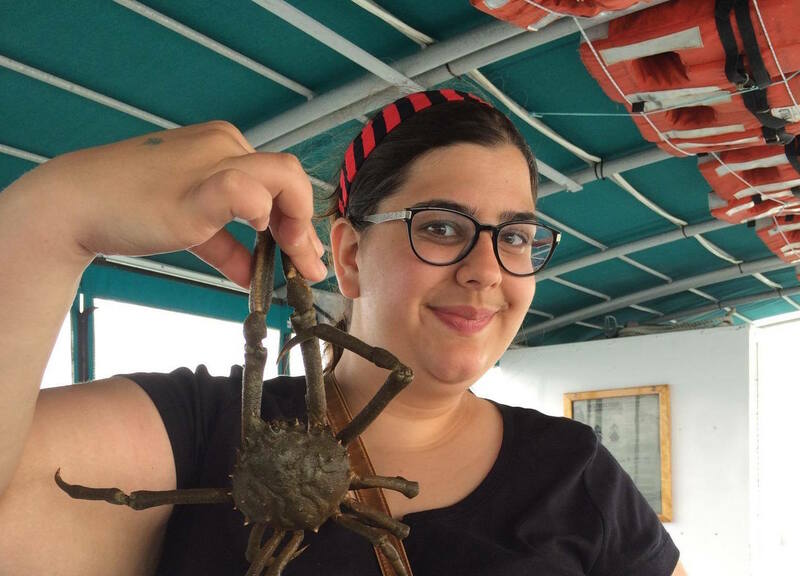 Congratulations to Sustainability Studies Program student Emily Nocito on her acceptance into Bard’s prestigious C2C Fellows Network! C2C (“Campus to Congress, to Capitol, to City Hall and to Corporation”) Fellows is a program run through Bard College’s Center for Environmental Policy, and is intended for undergraduates and recent graduates who are interested in sustainable politics and business. 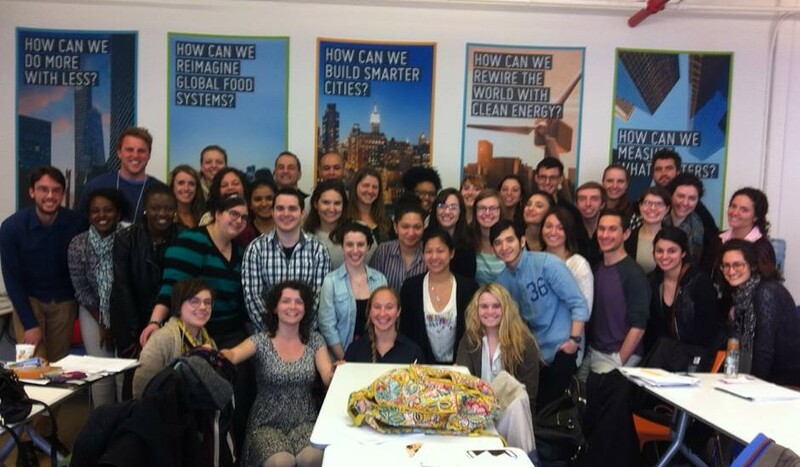 Besides attending workshops, fellows get to join a network of like-minded pre-professionals and professions. Fellows also get to choose a mentor in a sustainable field to help guide them with sustainability-related career advice. For the application, Emily had to write two essays. One was about whether she would rather own a sustainable business, or work as a U.S. Congresswoman. Emily says that she went with neither of these options, and instead discussed why she would want to work for the U.S. Council on Environmental Quality. 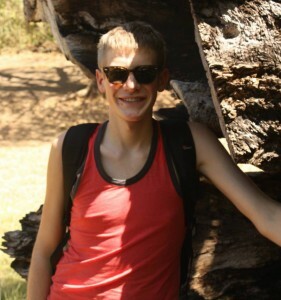 Sverre Ofstad is currently studying abroad in Kenya. I’ve only been in Nairobi since January 6 of this year, but already the place has made what can only be classified as an indelible impression on me. The vastly different culture, people, and environment found here have all contributed to this feeling. Kenya is a very diverse country and the contrast between the countryside and the city of Nairobi is stark: while rural Kenya offers beautiful nature, and charming small villages, Nairobi is a vibrant third-world metropolis filled with people and traffic. There are two aspects of my life in Nairobi, the everyday student life, and the more adventurous weekend life where I often travel outside the city. The classes here are a bit different than in the U.S. They are often smaller, and they provide a more Afro-centric view on different academic subjects. It is fascinating to see how their views differ on the subjects I’ve already learned at Stony Brook University. There are people from all over the continent of Africa at my school, and it is interesting to connect with these people and learn how diverse the continent really is. On the weekends I travel around in Kenya. I camp in the wild, go on safaris, hike mountains, and visit different parts of the countryside. As a Sustainability Studies major at Stony Brook, it is extremely motivating seeing the beautiful nature and wildlife in Kenya, as it further inspires me to help protect the environment. Seeing animals such as lions and rhinos has truly been an amazing experience. Besides seeing a lot of nature, I have also joined the climate change branch of an organization called “happy 4 life,” which seeks out sustainable solutions to Kenya’s environmental problems. Interacting with engaged people wanting to make a difference, and fully experiencing Kenya has already taught me a lot, and I am excited to see what is in store for me during the rest of my stay here! 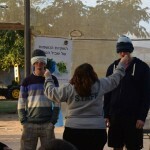 Stony Brook University Sustainability Studies Program student Emily Nocito found that the Salad Trail in Israel’s Negev Desert is a most unexpected organic oasis. 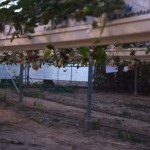 The Negev Desert of Israel: not the place one would think about when it comes to agriculture, especially taking into account the varying temperatures. In the summer, temperatures can be as hot as 100°F, while at night can drop to nearly 30°F. However, one place, The Salad Trail, is defying all odds by creating a sustainable farm in the middle of this barren land. How do I know this? 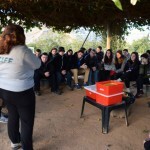 I had the pleasure of visiting the farm, along with 39 other students, 7 Israel Defense Force soldiers, and four staff members during this winter’s Taglit program. In the middle of January, in this huge desert, I was picking kumquats straight off the tree. 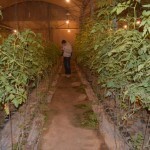 I ate many different types of tomatoes, all grown in a greenhouse. I witnessed some of my friends try a habanero pepper fresh from the vine (no way I was going to eat that!). The Salad Trail, thought up and owned by a lovely agronomist named Uri Alon, seeks to educate a wide range of ages through a commonality we all love- eating. Along with learning about how they operate their farm- like all the water used is recycled wastewater from Tel Aviv, and the temperatures are controlled using energy from their solar panels, we learned about the struggles of sustainable growing in such harsh conditions while eating our way through the various greenhouses. In the strawberry room, we learned that the strawberries were grown in turf made from coconut shells rather than soil. When asked how they dealt with pests, our lovely tour guide surprised me with her response: Rather than using pesticides, they call up a kibbutz that breeds bugs. They tell the workers there what type of pest they have, and the members of the kibbutz send them a natural predator to the pest. Thinking ahead, they only send males, preventing their reproduction. Never in my wildest dreams did I think I would find an organic oasis in the middle of the Negev. Emily, on her recent travels to Israel. 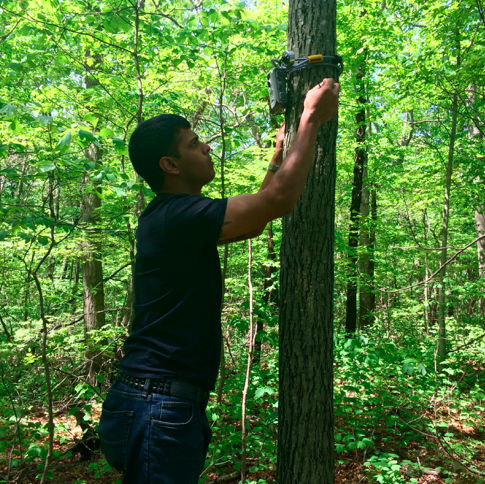 The Stony Brook University Sustainability Studies Program offers students an intimate learning experience and a number of great academic and career-development opportunities thanks to the program’s enthusiastic faculty and staff. As a senior Environmental Design, Policy and Planning major, I can speak from my own experience about how dedicated the professors are, and how many excellent opportunities they offer students not only on campus, but outside of the classroom as well. In the two-and-a-half years I have been part of the program, I have been given the opportunity to attend exciting events such as the third-annual Global District Energy Climate Awards in New York City and Vision Long Island’s 13th-annual Smart Growth Summit. 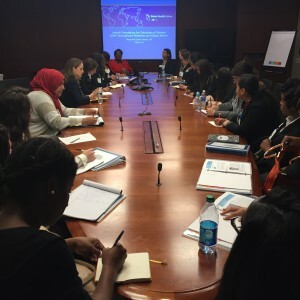 Events like these have given me first hand experience of a number of different “planning” fields, and I feel that these experiences are very helpful in guiding students toward their future career path. 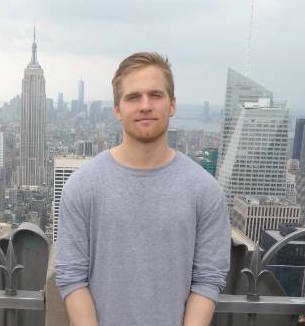 The Sustainability Studies Program has also offered me the opportunity to study overseas, where I gained valuable and marketable international skills in sustainability. 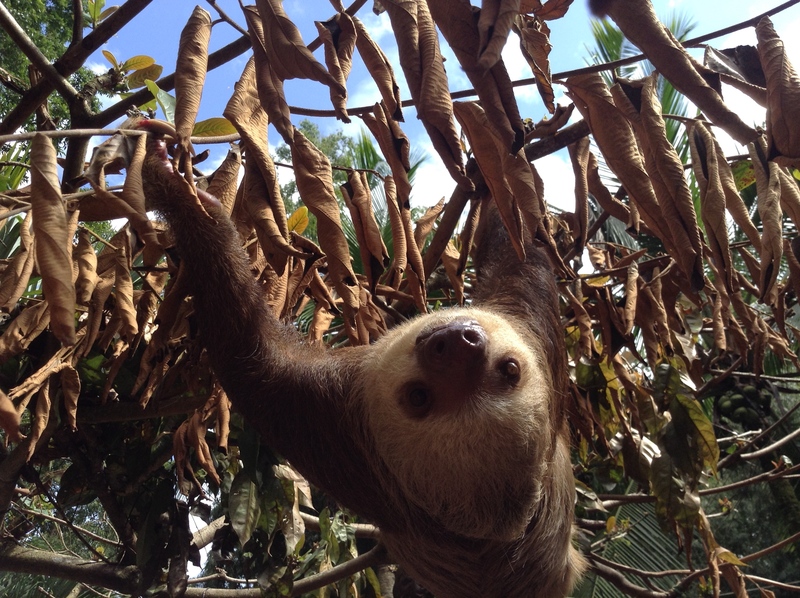 Last winter, I traveled to Costa Rica, an international leader in renewable energy. There, my classmates and I developed and proposed ideas aimed at further improving the country’s sustainability, while also bolstering its economy. It was an invaluable experience to receive feedback about these proposed ideas from my peers, professors and Costa Rican citizens themselves. In Costa Rica, I nabbed this awesome picture of a sleeping sloth! 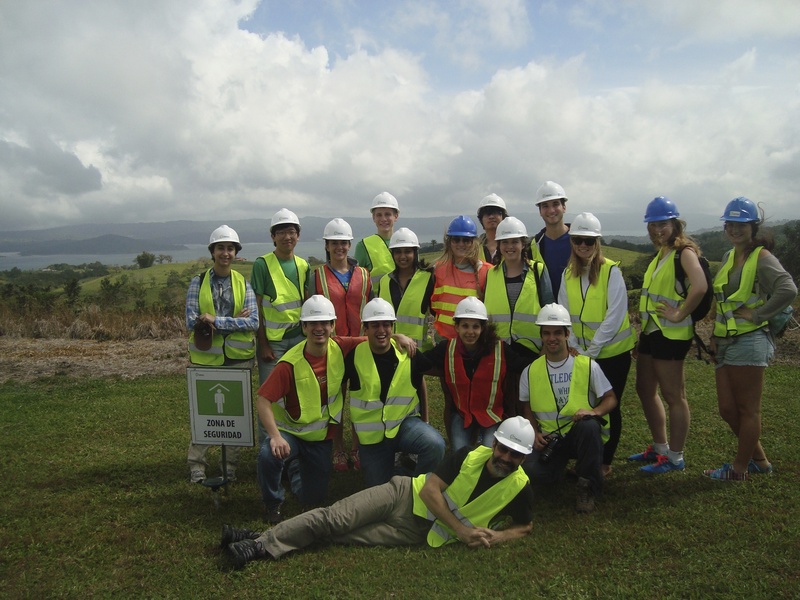 Our SBU Sustainability Studies Program Costa Rica Winter 2014 study abroad group at AeroEnergia, a wind-based Costa Rican energy company. 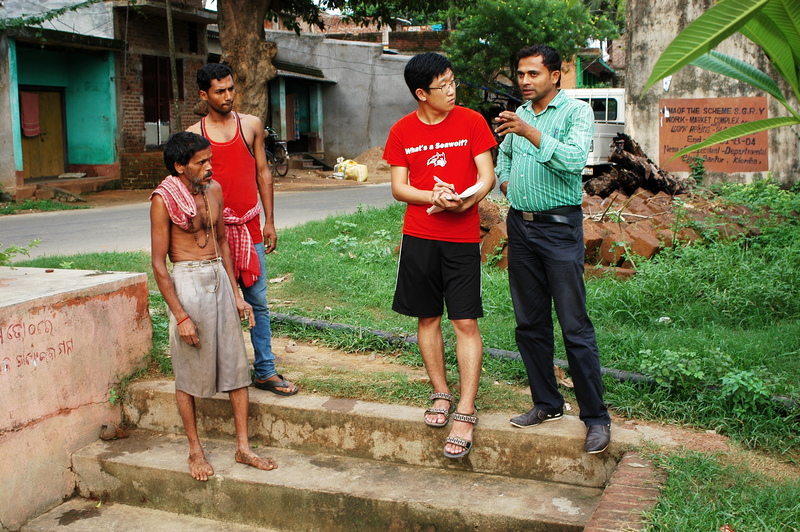 Opportunities like these give students experience outside of the classroom that can give them an edge when beginning their careers or gaining admission into sustainability-related graduate degree programs. 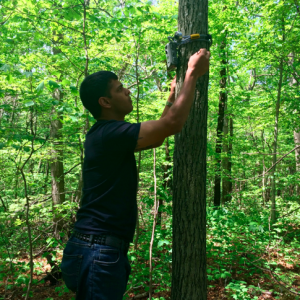 Overall, Stony Brook University’s Sustainability Studies Program offers an enriching academic experience and prepares students well for life after graduation.